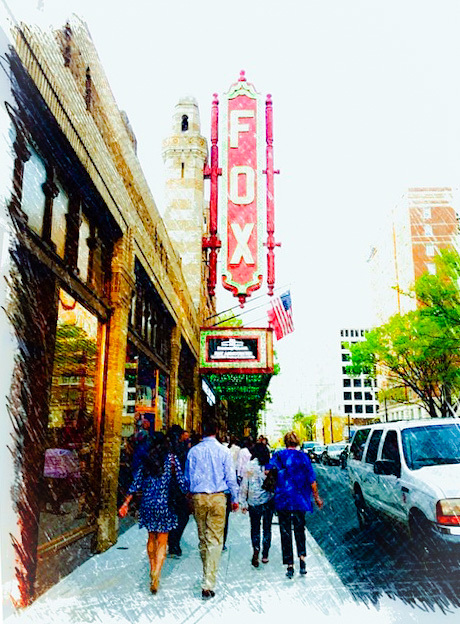 ATLANTA, GA – The Fox Theatre today announces special Behind the Scenes Tours, a 90-minute guided program that allows guests to experience the soul of the Fox from three different perspectives. First, people will see the work, operationally, that goes into every performance backstage and underneath the stage, including power rooms, production offices, and stage lifts – a salute to the hundreds of unseen workers hustling to allow the curtain to open at 8 p.m.
Next, guests will walk through the history of the Fox while hearing the incredible stories of how Atlanta came together to save the legendary Fox Theatre 40 years ago! The tour invites people to imagine the Fox in 1929 and take in the theater’s historical significance and preservation efforts by visiting never before seen restoration workrooms. The final stop of the tour allows guests to walk the same hallways and dressing rooms as The Rolling Stones, Elvis, and Lynyrd Skynyrd. Guides will show the “Play It Pretty for Atlanta” sign, which is a quote from Lynyrd Skynyrd’s Ronnie Van Zant and the last thing performers see before hitting the stage. People will also get to see a timeline of the Fox painted on the stairs. The higher you go, the more recent the timeline. Pictures of famous Fox performers grace the walls as well. The tour will end on the theater’s legendary stage. The new Behind the Scenes Tours begin in June and will only be available for a limited time. They include refreshments in the star dressing rooms and photo opportunities on the stage. This is the first time the public will have access to these areas of the theater. Tickets cost $45.00 (plus applicable fees). The Behind the Scenes Tours are not recommended for children under 7, and no children under the age of 2 are permitted. Everyone must have a ticket to attend the tour. Find tickets and more information at www.foxtheatre.org/tours.